IPJ : Workshop for Iraqi journalists: Media visits. 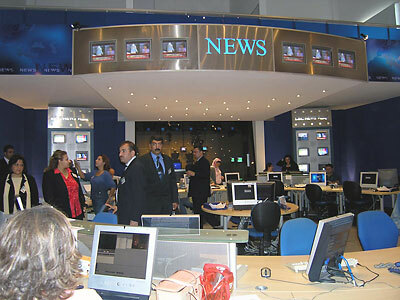 A tour of “Al-Hayat-LBC” TV’s newsroom. 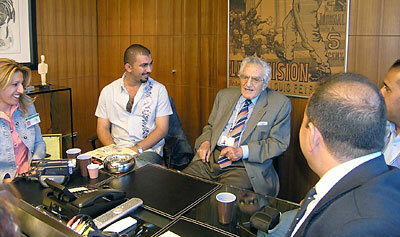 A long chat with “An-Nahar” daily’s editor-in-chief Ghassan Tueni. “Al Sumariya” TV’s news director May Kahale briefs visitors on how she puts together the newscast. National News Agency director Andre Kassas presents the state-run media perspective. 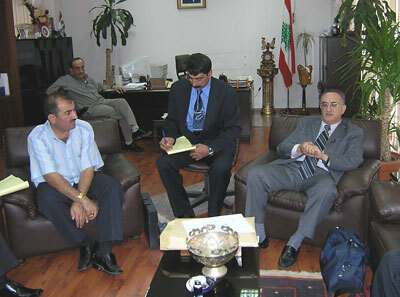 State-run Radio Lebanon director Fouad Hamdan receives Iraqi delegation and IPJ director. 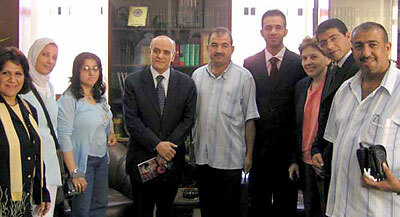 Iraqi journalists conclude Lebanon trip with a visit to “Sada Al Balad” editor-in-chief Bechara Charbel.